LG, On 8th of this month, has unveiled that its OPTIMUS L9 SMARTPHONE will be available for sale on T- Mobile this fall. The L9 sports a 4.5 -inch Corning Gorilla Glass 2 display, will feature Android 4.0 Ice Cream Sandwich OS, powered by a 1-GHz, dual-core processor and a 2,150 mAh battery. The smartphone has a 5 MP Camera on its back with LED Flash and the ability to record 1080p HD Videos. A "Cheese Shot" feature allows users to take a photo simply by saying "cheese," while users can choose from normal, panorama, and continuous shot modes. The smartphone looks great built with a sleek and stylish frame which is just 0.36 inches thick. The L9 includes Wi-Fi Calling, the ability to connect up to five wireless devices via a connected hotspot, Bluetooth 3.0 connectivity, SmartShare for wireless media sharing to DLNA-enabled devices. There's also LG QuickMemo, which lets users add commentary, notes, and drawings to screenshots and share them with friends and family via social media and email. "As the latest device in LG's L-Series smartphones, LG Optimus L9 has been designed to fulfill users' needs for a slim, stylish device that is comfortable to use with a LONG LASTING BATTERY LIFE," James Fishler, senior vice president of marketing and go-to-market operations at LG, said in a statement. Firm pricing info and availability date info are still unknown. But, it is expected to come with a price tag of around $150 in the next few weeks. 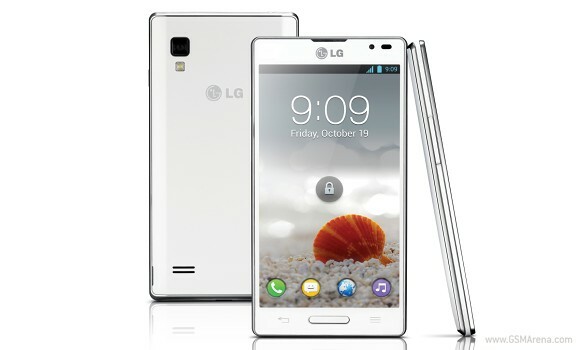 0 Respones to "LG Optimus L9 Coming to T-Mobile"